Dec 6 - As we begun preparing for the coming of Jesus, the parish holds its annual advent recollection early in the season. This year's recollection was conducted by a newly ordained priest from the Sacred Heart of Jesus religious community. Fr. 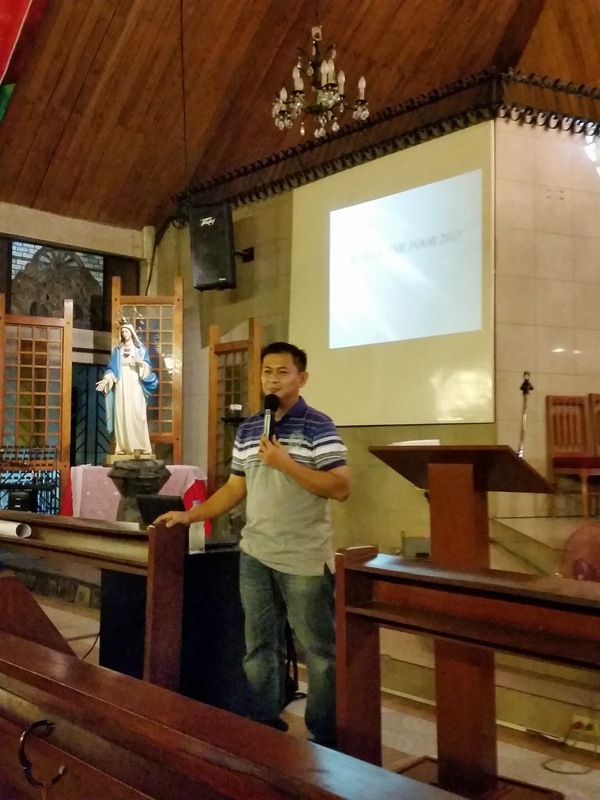 Nino Etulle, a priest ordained just a year ago, in his talk, focused on his pastoral ministry at the parish of San Roque in Bagong Silang, Caloocan City where he was assigned right after ordination. The poor, the marginalized was where he began his ministry. With about 50,000 families living among the poorest in a densely populated area, he together with his parish priest and a deacon, lived with them and ministered to their basic needs. As we begin the Year of the Poor, his talk was a timely and apt call for us in the parish to feel for these less privileged of God's people living in our midst. He drew on his daily experiences in their parish. The three of them have seen first hand the day-to-day sufferings and perseverance of these people in their devotion and thanksgiving to God. No matter how poor, he says, these people are, they still give of what little they have in building their parish community. The love of God, he says is evident in this community, with its thriving BEC kapitbahayans sharing God's blessings among themselves. Fr. Nino impressed upon his audience the humility of serving the needy, the abandoned and the marginalized and encouraged them, in the coming Year of the Poor, to reflect upon God's blessings and reach out to the poor for we are all God's children in this pilgrim journey. For an advent recollection, it was pleasantly surprising that the audience was deeply touched by Fr. Nino's sharing that they expressed their personal feelings and asked him a number of questions of his experiences in San Roque.